The last time you used transit, what was the cost of your trip? Did you pay for a single ride? Maybe you’re a frequent customer and your transit agency offers a week or month pass to save you money. So why is there a predominant pricing model for bike-share in many parts of the world that either charges mere cents per trip for the most frequent users and upwards of $7 USD for a day pass for a tourist or infrequent customer for the single trip they want to take? Isn't there something in between that's more reasonable for everyone? A common pricing model throughout much of the world is a "buffet model" where an annual membership is available for $60 - $85 USD or a day membership for $5 - $10 USD, with unlimited trips under 30 or 45 minutes for both and usage fees starting only after you’ve reached this time limit. Once you've paid the membership fee, you can ride as much as you want within the included time period for no extra fee. So a daily commuter who paid $75 USD for an annual membership who uses the system twice a day for every workday (260 days per year) pays $0.14 USD per trip. This is ridiculously low and likely even lower than the cost of owning a bike. Obviously there's history about why this came to be. First generation bike-sharing (White Bike) and 2nd generation (City Bike) systems were low-tech and had no charge to use them. When 3rd generation (automated) bike-sharing came about, the first service was in Rennes, France in 1998, called Vélo à la Carte. The service was operated by Clear Channel Adshel – an outdoor advertising company. Vélo à la Carte had no membership or usage fees, but a €23 EUR ($30 USD) deposit. The first large 3rd generation system was then Vélo’v in Lyon, France in 2005 and was launched by JCDecaux, a competitor of Clear Channel's. They started with a €5 EUR ($6.50 USD) annual membership, which increased to €15 EUR ($19 USD) and now have an annual membership fee of €25 EUR ($33 USD) with the first 30 minutes of each trip at no extra charge. 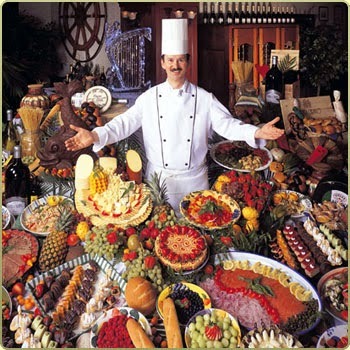 Thus the "buffet" pricing model was born with all you can eat, or ride, under 30 minutes once you pay your membership fee. In response to a Bike-sharing Blog inquiry, a representative from JCDecaux said that this pricing model was created to incentivize very short trips by bike. It has done this quite successfully. Paris, which is also operated by JCDecaux, followed suit in 2007 with the same pricing model. Germany took a different route with Call a Bike using a "per minute" pricing model. With this model, the more one uses the service, the more one pays for their usage. This per minute model is in direct contrast to the buffet model where the service gets cheaper the more you use it. Call a Bike started off as a private company in Germany around 1998 and was eventually purchased by Deutsche Bahn, the German national rail company. They have stuck with the per minute model to date, except for Hamburg, Berlin, and Stuttgart which have the buffet model. Deutsche Bahn obviously had a different perspective on recovering the costs of their bike-share systems, coming from a transit background. Third generation bike-sharing was finally brought to the New World in 2008 with SmartBike D.C. in Washington, D.C., USA and operated by the same company that did Rennes' service -- Clear Channel. It cost $40 USD per year with free trips under 2 hours. Then in 2009, Bixi launched in Montreal, Canada, however, it was not funded by an outdoor advertising company, but rather by a city agency -- Stationnement de Montréal. They chose to use the buffet model, which was now the prominent model, but had to raise the price to pay for the capital and operating costs of the system. So goodbye to the €29 EUR ($37 USD) annual membership of Vélib' and hello to the doubled $75 CAD ($68 USD) annual membership. Since 2009, almost every new system in North America, and a good deal of those in Europe, point to the other popular systems before them that use the buffet model and feel that they must as well. How could Lyon, Paris, Barcelona, D.C., Boston, and New York all be wrong? It's time to innovate with pricing models to both encourage more trips by more people, remove the financial barrier that high-priced memberships have created for lower income customers, and better assist bike-share systems pay for themselves. Bike-share is transit, so it also needs to be priced like transit. There should be a single trip price that is equivalent, or slightly lower, than the price of a single trip on the local transit system. It's time to innovate! The North American Bike-share Association (NABSA) is a newly formed non-profit group created to share information and best practices for bike-share system owners, operators, and vendors. 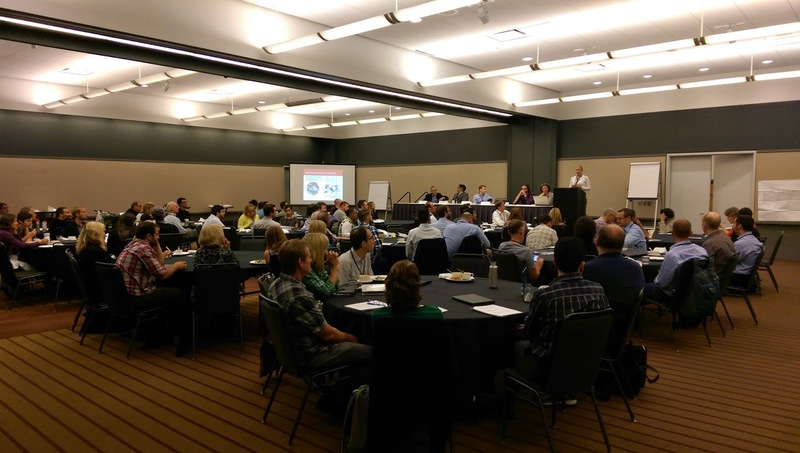 NABSA held its first large conference on September 7 - 8 in Pittsburgh, Pennsylvania, USA with over 100 attendees from around the U.S. and Canada and as far as England and Germany. Bike-share equipment vendors such as PBSC Urban Solutions, 8D Technologies, Social Bicycles, Bewegentech, and nextbike were also present showing off their latest innovations. The two packed days of break-out sessions included proposals for open data standards to align the output of data that systems produce for public consumption, creation of an International Bike-share Database with an agreed upon glossary of terms and metrics for a better apples-to-apples comparison of systems, and owners meeting with their sister municipalities and respective software/hardware vendors to discuss needed improvements as well as innovations on the horizon. As a fledgling industry, NABSA is necessary to strengthen our knowledge of bike-sharing among owners and operators of a variety of backgrounds -- municipal, non-profit, and for-profit -- and learn from the successes and failures of other systems for the betterment of each system and the public they serve. As the program manager for Arlington, Virginia, USA's portion of Capital Bikeshare, I can say it was truly valuable to be at the conference. While the focus of the group is North America, NABSA is open to all and if you're associated with a bike-share system, regardless of where it is in the world, I'd recommend checking out NABSA.net.